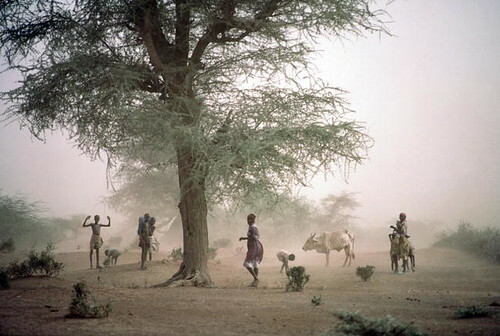 A sandstorm on the western shore of Lake Baringo (photo on Flickr by UN/Ray Witlin). A new science program launched in Jordan last week—the CGIAR Research Program on Dryland Systems—is setting itself a huge ambition: To help many of the 2.5 billion people living in the vast drylands of the developing world raise their levels of both food production and security. A CGIAR Fund is supporting the program’s first three years of work to the tune of 120 million dollars. This is the latest ‘research for development’ program of CGIAR, a global enterprise conducting ‘agricultural research for a food-secure future’. 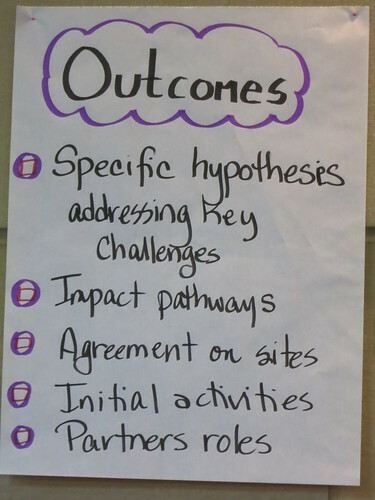 Some ten thousand scientific and support staff in the CGIAR community are at work with hundreds of organizations worldwide to design enduring food systems, via new means for healthy and productive lives and lands, across the whole of the developing world. 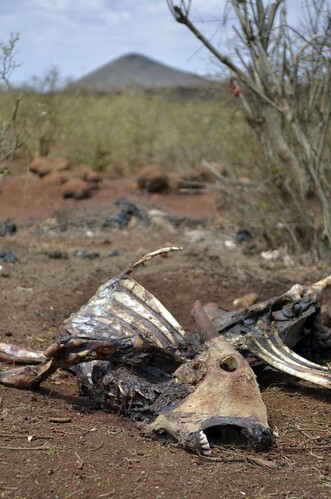 More than 60 research and development organizations, including the International Livestock Research Institute (ILRI), are part of this new drylands program. 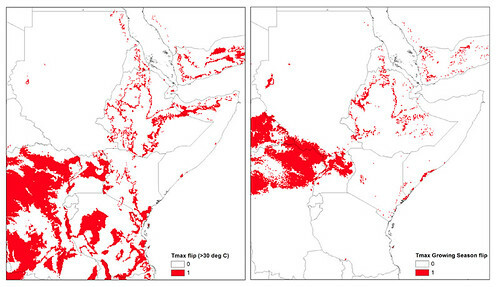 It is targeting dryland farmers, livestock keepers and pastoral herders in some of the hottest dryland hotspots of both Africa (West Africa’s Sahel and dry savannas as well as the extensive arid and semi-arid lands of North, East and Southern Africa) and Asia (West and Central Asia, including the Caucasus, and South Asia). 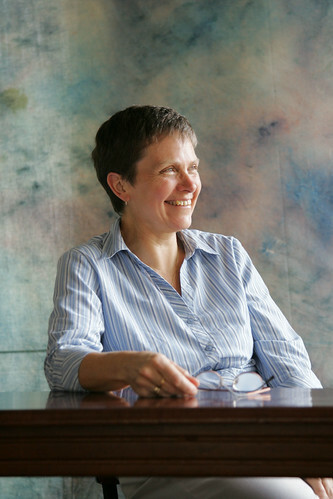 ILRI scientist Polly Ericksen leads the CGIAR Research Program on Drylands Systems in East and Southern Africa, where, in the coming years, the program aims to assist 20 million people and mitigate land degradation over some 600,000 square kilometres. 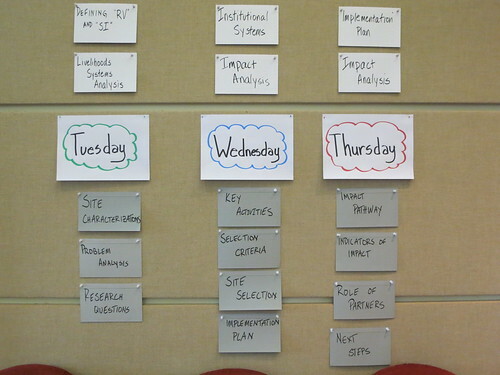 The program as a whole is led by the International Center for Agricultural Research in the Dry Areas (ICARDA), which, like ILRI, is a member of the CGIAR Consortium. Scientific, development, agri-business and local experts are joining forces to find new ways to help communities living in the harshest drylands to become more resilient and to help those in better-endowed drylands to increase their agricultural yields and incomes without degrading their natural resource base. The dry areas of the developing world are likely to experience increasing poverty, out-migration and food insecurity’, says Frank Rijsberman, CEO of the CGIAR Consortium, adding that climate change is worsening agricultural and related livelihood prospects in many dry regions of the developing world. The many scientists and partners in this program will investigate all options and combinations of options, including dryland cropping, livestock raising, mixed (agro-pastoral) crop-and-livestock production, integrating trees or shrubs in cropping and animal husbandry practices (agroforestry), and making diverse and sustainable use of different kinds of rangeland and aquatic resources. 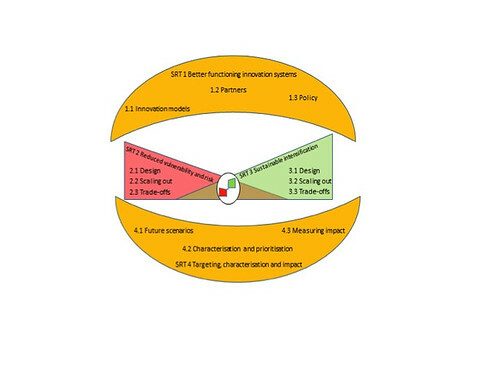 Among options to be developed are more sustainable farming techniques and management of water, land and other natural resources; genetically improved crop varieties and livestock breeds tailored for dryland environments; more enabling policy environments and infrastructure; and user-friendly ‘climate smart’ strategies and technologies. Given the importance of agriculture to dryland developing countries, where farming remains the backbone of the economy but land is degraded, water scarce, rainfall and temperatures increasingly unpredictable, and civil strife (uncommonly) common, it will profit all of us to make sure that the world’s dryland communities can in future earn a decent living and produce food securely. The kinds of research, investment and policy support this sector needs to move forward in the face of climate change are outlined in a press release and report on Strategies for combating climate change in drylands agriculture, published in 2012 by the CGIAR Research Program on Climate Change, Agriculture and Food Security (CCAFS), ICARDA and the CGIAR Research Program on Dryland Systems. 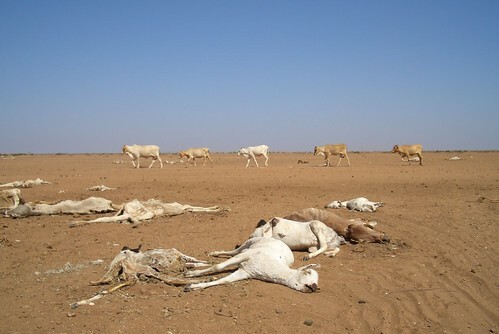 The report examined the problem of changing climate patterns in dryland areas and its effects on rural populations and offered practical solutions as input to the Conference of the Parties (COP18) United Nations Framework Convention on Climate Change (UNFCCC). The information came from discussions at the International Conference on Food Security in Dry Lands, held in Doha, Qatar, 14–15 Nov 2012. Read a recent book, Pastoralism and Development in Africa: Dynamic Change at the Margins, edited by Andy Catley, Jeremy Lind and Ian Scoones. 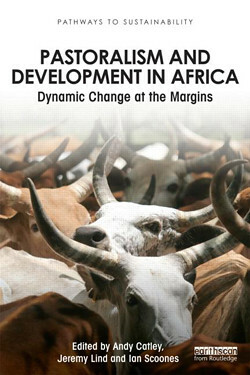 Published in 2012 by Routeledge, the book includes a chapter by scientists at the International Livestock Research Institute (ILRI): Climate change in sub-Saharan Africa: What consequences for pastoralism?, written by ILRI’s Polly Ericksen and colleagues. Parts of the book are available on Google books here. 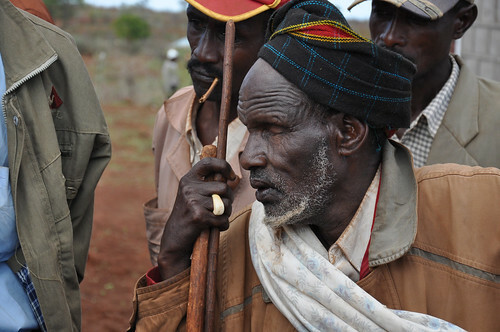 ILRI News Blog: Pastoral livestock development in the Horn: Where the centre cannot (should not) hold, 31 Dec 2012. 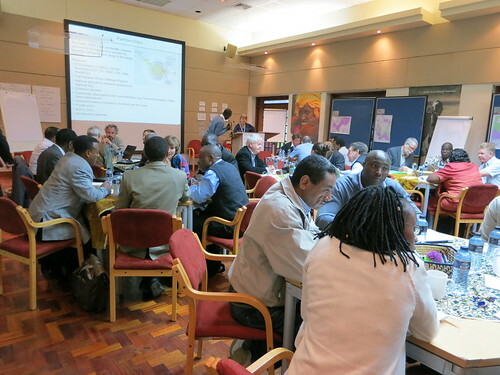 ILRI News Blog: Africa’s vast eastern and southern drylands get new attention–and support–from agricultural researchers, 6 Jun 2012. 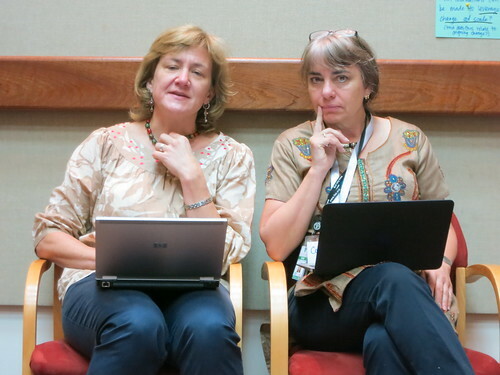 ILRI News Blog: Experts comment on new drylands research program for eastern and southern Africa, 25 Jun 2012. 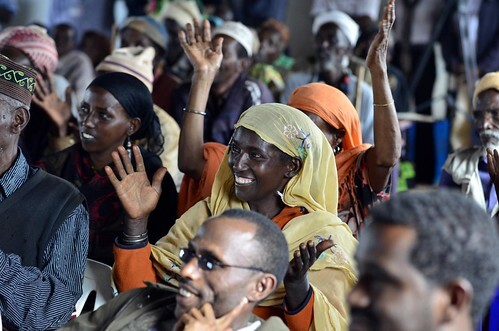 The CGIAR Research Program on Dryland Systems integrates research disciplines to bring rural communities living in the world’s dry areas practical solutions for improved livelihoods and food security. The program develops and refines strategies and tools that minimize risk and reduce vulnerability in low-potential drylands while helping farmers and herders in higher potential drylands to intensify their food production in sustainable ways.